This room offers a standard double bed, with en suite shower - located on ground floor of the reception area ( street level). Competitively priced to suit the everyday traveler. Beautifully restored and graciously decorated in a colonial style spacious en-suite rooms. The large roof-top terrace provides panoramic views of both Table Bay, waterfront, and Table Mountain. 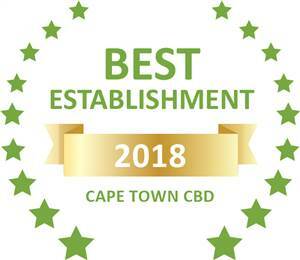 Based on reviews of establishments, De Waterkant Lodge has been voted Best Establishment in Cape Town CBD for 2018.